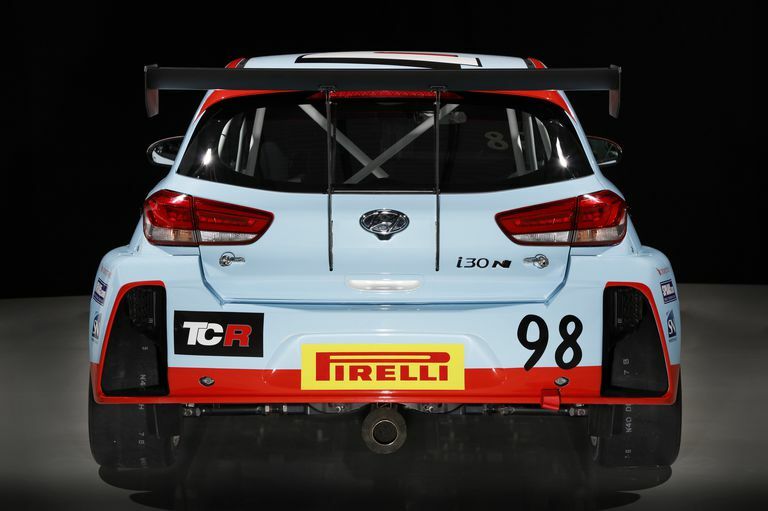 Hyundai is expanding its global motorsport presence with the introduction of the i30 N TCR to America's Pirelli World Challenge series. It will compete against other turbocharged, front-wheel-drive compacts including race versions of Volkswagen's Golf GTI and the Audi RS3. 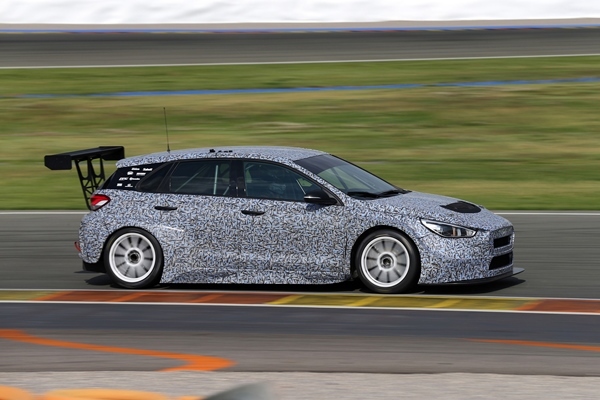 Although Hyundai doesn't sell the i30 N here in the States, the TCR-variant already exists elsewhere, meaning it will only take minor modifications to qualify for PWC competition. It's also because of this that Hyundai won't be building a Veloster N race car for the series. Instead, teams will be working with this version of the 350-horsepower, 2.0-liter turbo hatch. 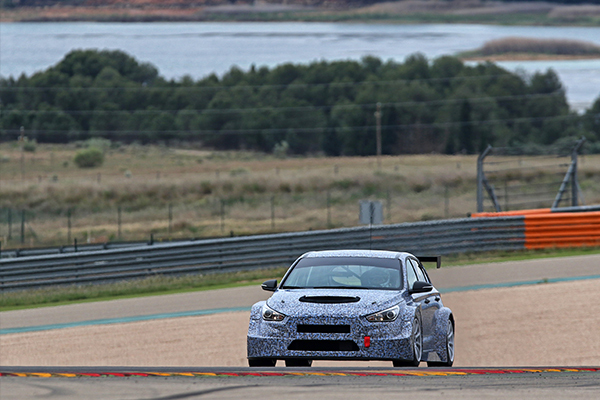 That power is relayed to the front wheels via a six-speed sequential gearbox which is just one of many genuine motorsport parts on the i30 N. Handling is well-sorted with the McPherson strut front suspension and multi-link rear, a worthy combo to support the lightweight construction designed especially for global touring car competition by Hyundai. Stopping duties are performed by six-piston Brembos in the front along with 15-inch discs, complementing the two-piston, 10.9-inch rears. Bryan Herta Autosport will be fielding two i30 N entries in the upcoming PWC season. The team, familiarized with American racing fans thanks to two Indy 500 wins and Global Rallycross competition, will be working in tandem with Hyundai's customer racing program to compete against VW and Audi. The first Pirelli World Challenge event will take place in Austin, Texas at Circuit of the Americas on March 23.